For more than 40 years, The Barefoot College has designed new ways to nurture and support a journey to empowerment, one village at a time, one woman at a time. We demystify and decentralise technology and put new tools in the hands of the rural poor with a singular objective of spreading self-sufficiency and sustainability. With a geographic focus on the Least Developed Countries, we train women worldwide as solar engineers, innovators and educators, who then return to their villages to bring light and learning to their community. 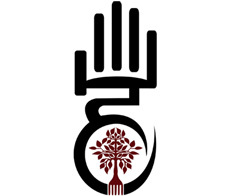 The Barefoot College is comprised of three distinct entities each with their own unique registration and operating mechanisms which are designed to support the overall Global work undertaken to achieve our Vision and Mission. SWRC is the original organisation founded by Bunker Roy in 1972. It is registered in India (Delhi) under the Societies Act and Holds a FCRA (Foreign Contribution Regulatory Act) approval, thus it is able to receive foreign donations for its work, as stipulated in its charter. It also holds an 80G certificate and 12A approval. It has two distinct parts FCRA and Non FCRA. Government of India and CSR work from inside India are carried out and managed under the Non FCRA internal structure while foreign grants, re-grants and donations coming into Barefoot College in india are managed through the FCRA division. Two sets of accountants are organised who report to a single organisational CFO. SWRC activities are focused on local Rajasthan communities and through our SAMPDA network of 27 organisations in 16 states of India. It works across the following programatic areas, Water & Sanitation, Alternative Energy, Education, Women’s Health & Wellness, Traditional Communications & Women’s & Girls Rights Advocacy. Hatheli Sanstan is responsible for all artisan industries and rural livelihoods which produce products for sale within India and abroad. It is registered legally as a Society in the year 1991 in Ajmer, thus; making it a Not-for-Profit social enterprise vehicle. The mission is to develop and train artisans for a global supply chain, to support ongoing interventions that perpetuate and honour the culture and craft of the regions Barefoot College work within and to successfully elevate grass roots leadership positions in a viable cottage industry structure. It is eligible for investment and grant receipt from within India as well as from SWRC. It can also donate profit of up to 10% of its annual turnover back to SWRC to support the non grant funded and non self sustaining activities of the Barefoot College. BCI was established in 2015 under section 8 of the Companies ACT 2013 as a Not-for-Profit Social Enterprise. It was established to meet the growing magnitude and evolution of the Technology and Enterprise Activities arising through the global and domestic design, fabrication, supply and maintenance of Renewable Energy technology to communities and to our own educational models. It encompasses the empowerment programs to communities and women in India and abroad. Its India based running costs are totally self sufficient and it is working towards also meeting its International operational costs. It comprises a vibrant R&D Department and the Barefoot College IT team work under this structure. It has the scope to develop multiple product lines that continue to develop the entrepreneurial endeavours of the women it trains and supports through its technology transfer training. It acts as the implementing agent for all Grants received for implementation of the Barefoot Women’s Solar Initiative, The Solar Digital Night Schools, The ENRICHE curriculum and the advancement and development of products under the brand B.Barefoot. Its Governing body is 60% India based and 40% International. It can also donate profit of up to 10% of its annual turnover back to SWRC to support the non grant funded and non self sustaining activities of the Barefoot College. It has a robust MOU in place with SWRC, as implementing agent for SWRC to carry out any mandated projects which fall under the solar and ENRICH project areas. Start your Barefoot education. Learn more about our history and approach to community ownership, and discover the power of simple solutions. 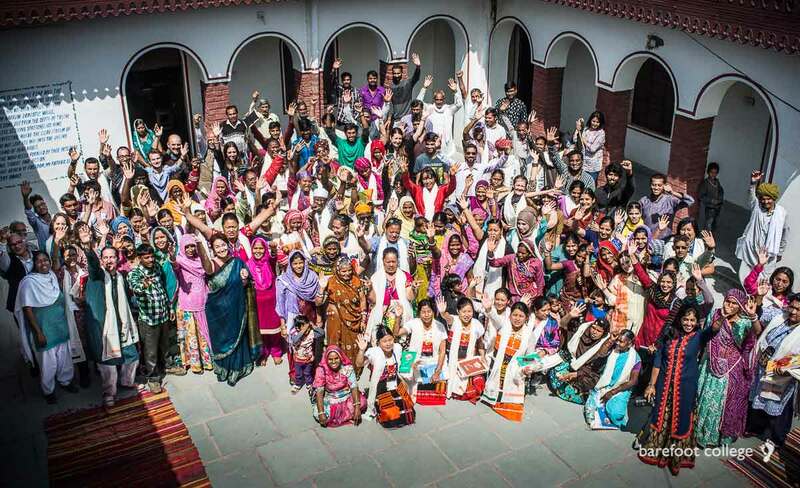 As the world shifts its attention to global poverty alleviation and combating climate change, the success of The Barefoot College’s holistic approach built on empowering women from around the globe offers a clear plan for large-scale impact. 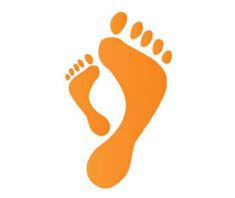 The Barefoot College is comprised of several distinct entities each with its own unique registration and operating mechanisms designed to support the overall Global work we undertake. All entities adhere to the lifestyle and work style of Mahatma Gandhi echoed in our “Non Negotiable Guiding Principles”. Visual assets and editorial resources for ground partners and everyone in the Barefoot Family. Contact us for password information and then click below to download. A three-year strategy to align opportunity and existing resources with an ever-deepening awareness of the Barefoot Approach.